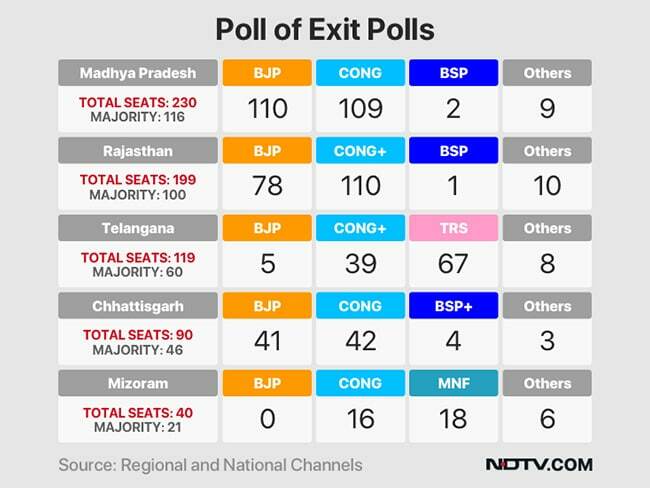 Madhya Pradesh Election Results 2018: Exit polls have predicted a hung assembly in Madhya Pradesh. Counting of votes has begun in Madhya Pradesh along with Rajasthan, Telangana, Mizoram and Chhattisgarh. Early leads show BJP and Congress neck and neck in the contest. 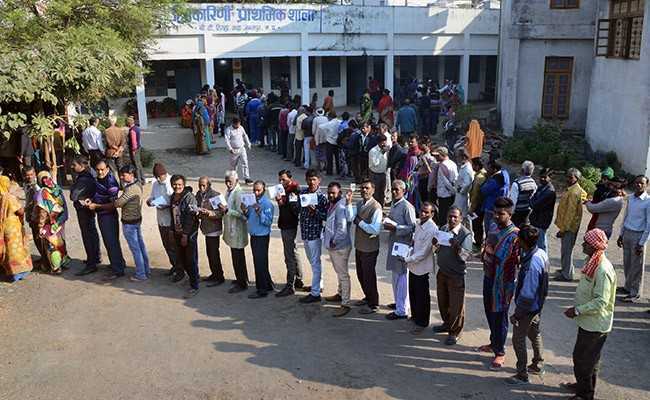 A record 75 per cent voters exercised their franchise on November 28 in the state, where the Congress is trying to defeat the BJP that has won the assembly elections three times in a row. The Congress, which is contesting polls in Madhya Pradesh for the first time under the leadership of Rahul Gandhi, is expecting anti-incumbency against Shivraj Chouhan, the state Chief Minister for three terms, to do the trick for them. Mr Chouhan, however, is of the view that his party will win riding on his performance as chief minister for the last 15 years. 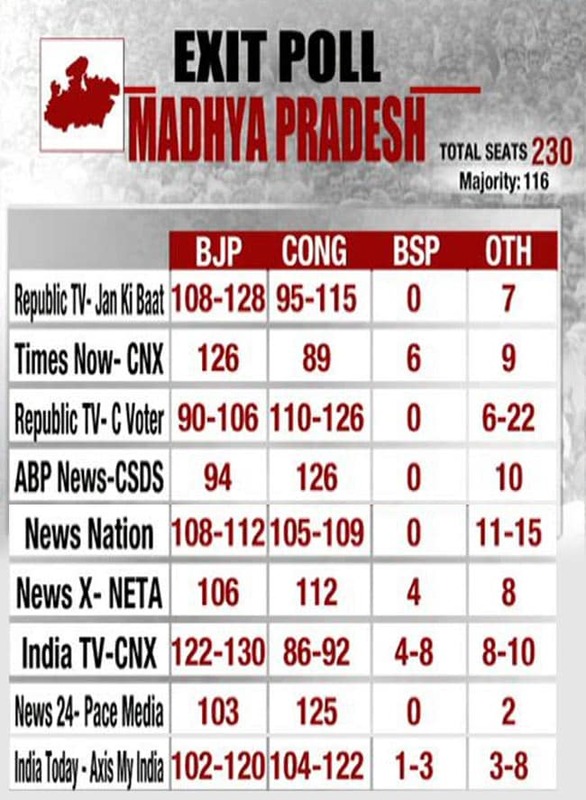 Exit polls have predicted a hung assembly in Madhya Pradesh. An aggregate of exit polls shows the BJP's winning streak is set to end in the state. Exit polls see both BJP and Congress going neck and neck but falling short of a clear majority in the 230-member assembly. According to an aggregate of nine exit polls, the BJP will get 110 seats in the state, while the Congress will get 109 seats. As many as 2,899 candidates are in the fray including 250 women and five third gender candidates. About a dozen leaders above the age of 70 years, including two cabinet ministers, will know their electoral fate when the counting of votes is taken up.